You are here: Home / Sharpen Your Skills / Can You Really Launch a Business Startup Without An MBA? Can You Really Launch a Business Startup Without An MBA? Having an MBA represents your understanding of management and business fundamentals. It provides you with the tools you’ll need to manage a business properly. But, can you launch a business startup without an MBA? Here are the facts: Most businesses fail. And most businesses are started by people who don’t have their MBA. So is that the reason why they fail? In short, the answer is no. A lack of an MBA is not the primary reason businesses fail. You must be an entrepreneur to launch a business startup successfully, whether you wish to launch a business startup without an MBA, or with one. And an entrepreneur is much more than a business owner. Entrepreneurs are pioneers. They break new ground, and they seek out new territories. They change the status quo. Entrepreneurs are game changers. Entrepreneurship is a popular idea. Why is that? It’s attractive. It’s exciting! 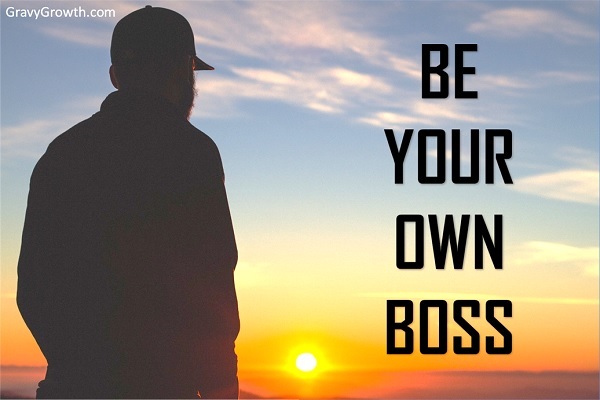 And the idea of being your own boss is too tempting for many people to resist, even if they don’t have what it takes to succeed. You must be the right kind of person to be an entrepreneur. You must be able to manage yourself well. Do you have passion and the determination to stick with it through the rough times? Are you risk averse? Entrepreneurs are risk-takers by nature. They also know that failure is a normal part of the process. 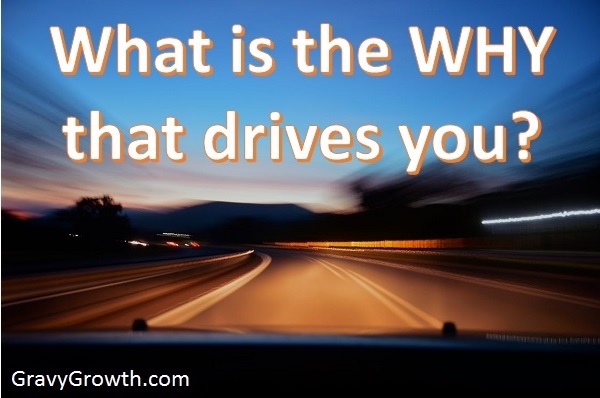 Do you know why most businesses fail? The good news is, you can launch a business startup without an MBA, regardless of your level of education. Although an MBA may be helpful, it isn’t too relevant to entrepreneurship. Just keep in mind, you should understand the fundamentals of business. And you must understand what responsibilities you’ll face as a business owner. First: Are you an entrepreneur? 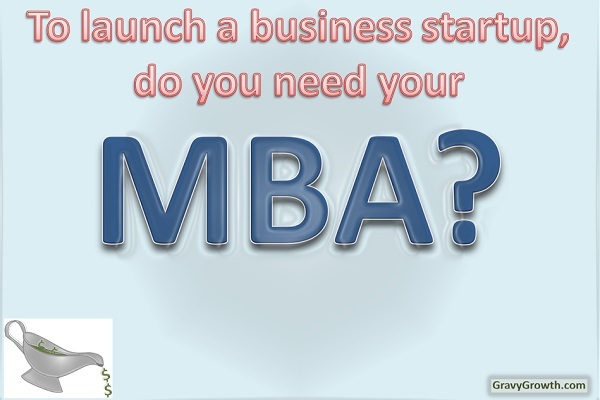 If you wish to launch a business startup without an MBA, test your entrepreneurial tendencies. Then, check out the TEN THINGS ENTREPRENEURS DON’T DO. 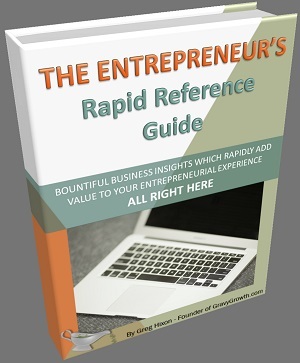 This next link shows the Top 10 Tips From Seasoned Entrepreneurs. There you’ll see insights which come from Small Business Pulse Survey – Lessons Learned From Launching A Business, published by TAB (The Alternative Board). 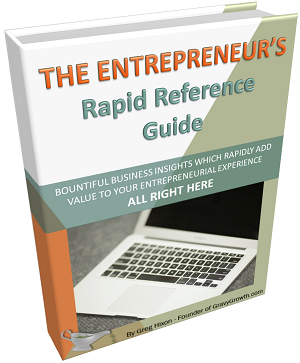 In the survey, 544 seasoned entrepreneurs were asked what they would’ve done differently when starting their business, knowing what they know now. You must run your business properly, legally and by following all government regulations with open transparency to remain accountable. You must stay legal. Obey all obligations to your financiers, employees, and customers. They are the foundation that you stand on as a business owner so please pay them the respect they deserve! Ensure your business has ample funds to operate at all times. Planning is key to keeping money in the bank, so you must always stay on top of that. Unforeseen expenses occur frequently. As a business owner, you’re fully responsible for the upkeep, security, health and safety, insurance, and legal and government regulation compliance of your business location. Maintaining insurance is a required fact of life for a business owner, and there are many types of business insurance. You may offer services with a contract, or with an SLA (Service Level Agreement). Also, you might have a lease contract for your business location. Certainly insurance and other services provided, like building security, entail contracts too. Be sure to file quarterly. If you don’t, and you’re not making any money yet, you’ll go from owing very little, to owing very much because of the penalties for not filing. Patience and dedication are required. Planning and strategy is YOUR responsibility. The business with the best plan will always lose when they suffer from plan-execution-spin-out. Having a sound plan is necessary, but sticking with it is the key to success. This is how you’ll inform the public about your product or service. It requires much research and calculated execution. You may have an amazing product or service. And, you may be a great sales person. Also, you may have the best sales people ever. BUT, none of that matters if nobody comes to take a look. Customer service is arguably just as important as the product itself. In today’s marketplace, the public expects good customer service. It is your responsibility to deliver stellar customer service that goes above and beyond what is expected by your target market. As you grow your business, you’ll probably hire employees. In doing so, you take on the responsibilities of screening, interviewing and hiring them. Then, you’ll be responsible for training, managing and paying them. As the business owner, you’ll need to pay half of their social security payments and you’ll need to pay unemployment insurance. Tax withholding management will also be required. And don’t forget about insurance for your employees! Knowledge and experience are your weapons when you launch a business startup without an MBA. If they’re sharp, you’ll compete well. The problem is your business startup strategy – knowing where to start and how to proceed. You have a good business idea. You wish to find investors, open a location, and develop a product and market it. Stop and prepare a thorough business startup plan of action first. It doesn’t need to be extensive or formal. But your plan must to be comprehensive. Put in the effort and cover all of the angles before you launch a business startup without an MBA. Consider this action-plan to be your battle-plan. You’ll need a business startup plan in order to compete. You may want to get out there now and launch a business startup without an MBA. But you won’t be out there long if you get squashed by your competition. So be prepared! The businesses that belong to the 20% club, those two-out-of-ten companies that survive beyond 18 months, involve themselves with this kind of research and business startup planning. You WILL need to compete with them, so do what it takes. Learn as many business fundamentals as possible before you launch a business startup without an MBA. And be sure to test your entrepreneurial tendencies to confirm you have what it takes to succeed.